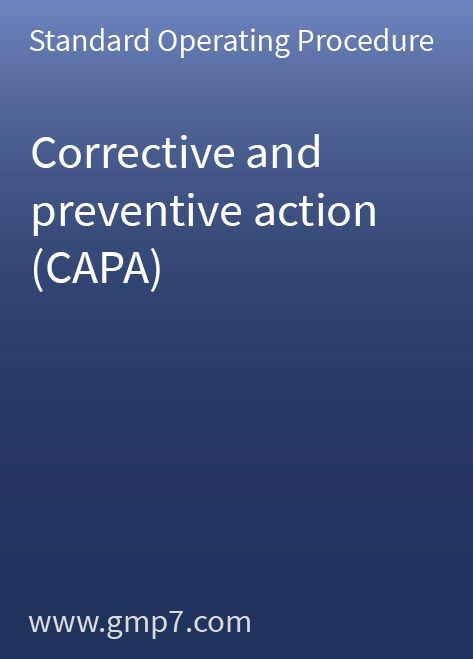 Governmental agencies in the pharmaceutical sector, such as the FDA, are challenging companies on an increasingly regular basis as regards their corrective and preventive action (CAPA) systems. Their aim is to ensure that deviations/non-conformance, product complaints, external and internal audit observations, annual product reviews, recommendations and regulatory issues are identified, fully investigated to their root cause and properly assessed. This Standard Operating Procedure (SOP) is ready to use and meets all the expectations of cGMP agencies as regards CAPA systems. The 6-page SOP, which includes 2 attachments, needs only site-specific modification before it can be used for your operations.